“I don’t get why they all stay in one place. Why don’t they just fly off to, like China?” Stone D. asked. Stone D. was seventeen and wore a belt that was six sizes too big, so the belt flapped when he walked; he wore a green beanie, even though it was hot, and his long curly hair bunched up around his collar. Stone D. spoke over the hedge to the Beekeeper Man. “Then I’ll be out of work,” said the Beekeeper Man. “No bees, no honey for the Farmer’s Market on weekends. No bees, no wax for my candles. No candles, no rent,” said the Beekeeper Man. “And no cherry tree,” he added. “Where do you make the candles?” asked Stone D., scratching his ear. The Beekeeper Man wore a hat and spoke through netting that he tucked into a scarf; he wore gloves despite the heat. Stone D. scratched his ear. The window facing the backyard opened quickly on Stone D’s side of the fence. “Did you finish the roof?” asked Rosetta Bottleneck through the window screen. “I’m in the middle of it,” lied Stone D.
“Only about an hour,” lied Stone D.
“Then I’ll let him sleep some more. I’m coming back there to check on that roof,” said Rosetta Bottleneck. Rosetta Bottleneck, still wearing her blue jumper that said “Rosy” on the patch, even though no one called her that, walked out the front door, across the small porch that she shared with the Beekeeper Man, down the brick steps, into the alley between her apartment and the brick apartments next door, and into the backyard. 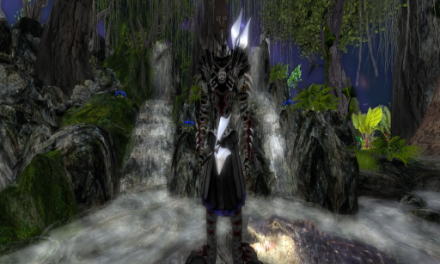 Stone D. stood by the short ladder; the ladder leaned against the metal storage shed. Rosetta Bottleneck climbed up the ladder in her white sneakers. “I’m sorry Mom,” said Stone D., with feeling. Rosetta Bottleneck climbed back up the ladder with the broom. Stone D. was walking through the alley when he heard his mother scream. In the corner of the roof of the metal storage shed sat a fat, brown rat with long, white whiskers; the pointy nails on his tiny toes were filled with cherry slime and he nibbled on a cherry that he held between miniature fists. Rosetta Bottleneck held the top of the broomstick handle and swung the broom over her head and flat down on the rat. She missed. The metal roof of the storage shed boomed. The broom again missed the rat, who jumped up onto the edge of the roof. The noise from each miss of the broom was loud and echoed in the alley. 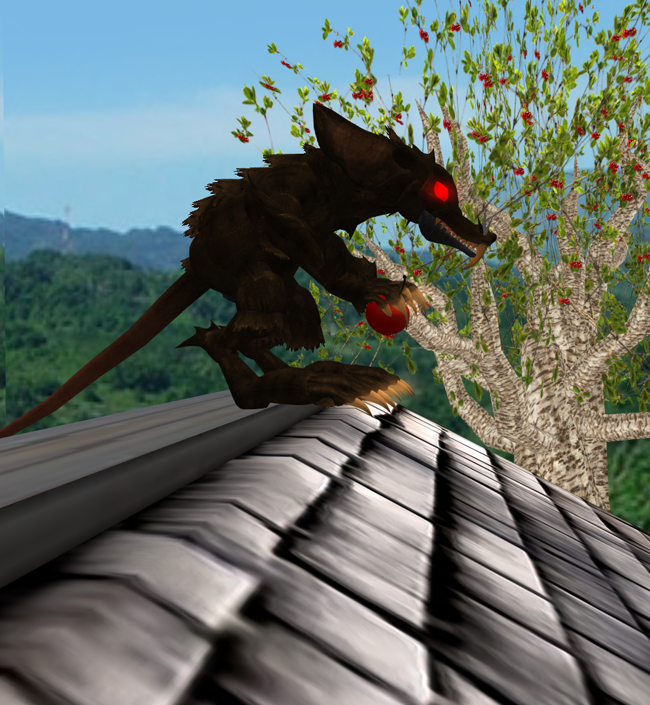 The rat jumped onto a branch of the cherry tree; then jumped onto a higher branch, then a higher one. The rat looked down from a branch and spoke to Rosetta Bottleneck. The rat shook with anger. Rosetta Bottleneck, from the roof, waved the broom at the branches of the tree, but the rat was too high up for the broom to reach. Stone D. watched in amazement from the alley. The rat spat over the side of the metal storage shed onto the snapdragons: the snapdragons wilted and died in an instant. Rosetta Bottleneck swung and missed. The rat scampered along the branch of the cherry tree and was gone. Rosetta Bottleneck ran down the alley; Stone D. followed behind. She ran up the brick steps and across the porch and through the door and into her bedroom. Bentley Bottleneck slept quietly on the bed, with pillows stacked on either side of him; he wore a white onesie. Rosetta Bottleneck picked him up and held him close. “Thank God you’re all right, my beautiful son! Furious freaked me out! Let me take a closer look at you,” said Rosetta Bottleneck. Rosetta Bottleneck held the boy up with two work-worn hands; the boy smiled at his mother’s face, but he was covered with stripes, black and white stripes, from his head to his toes, lengthwise. A tear rolled down Rosetta Bottleneck’s face. “Who will ever love you enough to remove this curse, my baby boy?” cried Rosetta Bottleneck. Her cries echoed in the alley. “This is all so weird,” said Stone D.
Except for the striped skin, Bentley Bottleneck was a healthy little boy. But whenever his mother walked to the A&P for a pound of ground round and a half pound of yellow American cheese and a loaf of white bread and a half- gallon of milk, women would peek at the stroller and make a face, then scamper down the aisle. Curious children were tugged away. Men, fearing contagion, held their breath. Yet Bentley Bottleneck smiled a lot, learned his manners, and won a spelling bee in first grade. In second grade, his mother signed him up for soccer, but the coach called at the last minute and said that the team already had too many players. In third grade, his mother signed him up for baseball, but whenever the boy stood at the plate to hit, the pitchers threw the ball at this head. He was always taunted when he walked past the schoolyard on his way home from school. But Rosetta Bottleneck doted on her striped son and secretly hoped that one day a person would love him enough to take over his stripes and return Bentley Bottleneck to a purer state. And Stone D. loved his little brother; he taught him how to download music without paying for it and bought him a pair of two-toned shoes. Stone D. got a job as a clerk at the all-night store, and bought Bentley Bottleneck a new baseball glove for his birthday. One winter, when Bentley Bottleneck was in fourth grade, Stone D. bought Bentley Bottleneck a green beanie of his own. That same winter, Stone D., when his mother was at work, tried to remove Bentley Bottleneck’s stripes with all sorts of homemade creams and unguents. One of them, a lotion made of camphor and pepper resins, cleared up Stone D’s sniffles, but also left a rash on his younger brother. “I won’t,” replied Bentley Bottleneck. Soon after that Stone D. made a cordial of the oil of cloves, the balsam of rosemary, and the choicest syrup of figs. “This cordial is the ultimate foe of stripes,” said Stone D. as Bentley Bottleneck drank the brew. But the only result was that, for two nights in a row, Bentley Bottleneck dreamt of mocha. That winter was cold and the branches of the cherry tree were pointy. Bentley Bottleneck had to spend a lot of time at home. He sat by the radiator to stay warm as the radiator hissed with steam. He took out a box of colored crayons and melted them against the radiator; he scooped the melted wax into bottle caps. After the bottle caps cooled, Bentley Bottleneck and Stone D. put on their green beanies and played a game in the alley with the bottle caps by tossing them against the neighbor’s brick wall to see who could get a bottlecap closest to the wall. “I’m glad you’re expanding away from just black and white with all these wax colors,” said Stone D. “There’s nothin’ like true beauty,” he said. Time passed. In middle school, Bentley Bottleneck’s brown hair flapped gently over his eyes, he wore cuffs on his jeans and his mother bought him an excellent jacket. Bentley Bottleneck put up posters of zebras in his room and rode his skateboard alone all around the block. His mother felt that he was old enough to go alone to the A&P, and he did so, but sometimes the scanner at the checkout counter would beep when he walked by. His mother saved up money for piano lessons, which Bentley Bottleneck enjoyed, though he showed an usual talent for a youngster for playing a slow blues in the key of E; the black and white keys were his true friends. Once, he played the piano in a school play; the parents whispered to each other with serious faces and clapped nervously. One very warm Spring night on a weekend when he was in eighth grade, Bentley Bottleneck had no homework so he took a walk to visit his brother at the all-night store. Stone D. was behind the counter by the cash register; Bentley Bottleneck walked up to the counter and spoke. “How’s work?” asked Bentley Bottleneck. “I’ve been here for two hours so it doesn’t hurt anymore,” said Stone D.
Johanna was an only child and had to transfer into eighth grade from another school even though the summer break began in only a month. She was plump, and had zits on her forehead; she wore a cloth bracelet on one wrist and a watch against the other. In school, she definitely did not fit in. Her parents had a piano and, at night, she played a soulful slow blues in the key of E. She waved brightly to Bentley Bottleneck whenever he walked by. One afternoon, after school, she sailed on her skateboard across the street towards Bentley Bottleneck and stopped and snapped up her skateboard into her hand. “What do you say we sneak onto the school grounds and take pictures on my phone of us skateboarding under the ‘No Skateboarding’ sign?” she said. That night Bentley Bottleneck combed his hair in front of the mirror for an hour and a half. Summer came. The Beekeeper Man’s backyard hummed and he was as busy as ever, but he made time to leave a jar of honey and two scented candles on the porch with a note for Rosetta Bottleneck. Soon, the Beekeeper Man and Rosetta Bottleneck could be seen sitting on the top step together during the long summer evenings. “You don’t hate me because of my stripes?” asked Bentley Bottleneck. The non-black parts on his face blushed all rosy; the black parts blushed all bronzy. “What stripes?” laughed Johanna. She paused and bit her lip. “You know what we need?” she said. “We need our first tattoos,” said Johanna. And so it was that on a lazy afternoon when no one was home, Bentley Bottleneck, in Johanna’s kitchen, drew a pretty good rose on Johanna’s shoulder with a magic marker, and colored it in with red food coloring. Johanna made an excellent rainbow Bentley Bottleneck’s left arm. One hot night, Johanna walked across the street to find Bentley Bottleneck, but he had gone to visit his brother at the all-night store. Johanna looked in the alley and then walked into the backyard. 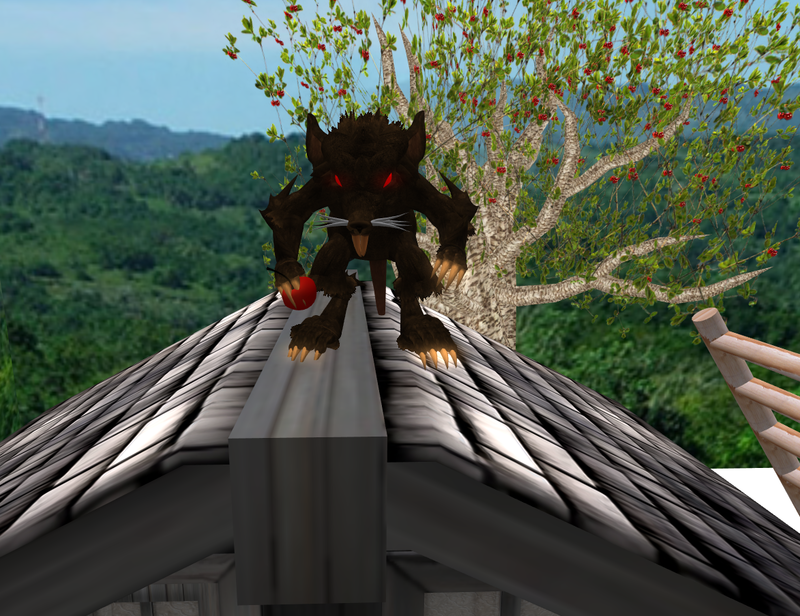 Furious was sitting on the edge of the roof of the storage shed pointing his nose in the air and sniffing; he had dark red cherry juice all over his pointy face and his white whiskers were longer than ever. With that, Johanna grabbed the broom and struck Furious with such strength that the rat died instantly, with one last, loud squeal that echoed in the alley. Rosetta Bottleneck and the Beekeeper Man came running down the alley. “What happened?” cried Rosetta Bottleneck.